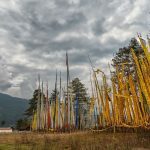 Coming to Bhutan in the spring, visitors can indulge themselves in some of the surprises there such as immersing in the extraordinary scene of spring and beholding manifold blooms on the peak mountain range along with migratory birds. At this time, Rhododendron is in a perfection of beauty that its full glory even can be compared to cherry blossoms in Japan. For one who is a flower lover, this is a time that can not be missed. 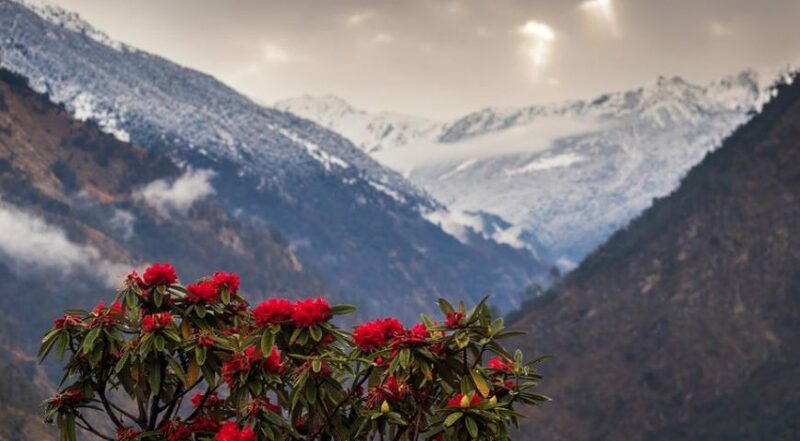 During the three-day festival, visitors will surely have an experience of being charmed by the beauty of wild Rhododendron profusely growing in the Royal Botanical Park in Lamperi, roughly 35 kms away from the capital Thimphu. 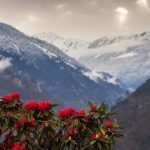 The wild Rhododendron plays an essential role in Bhutanese daily life from being a homemade cure to be used in a traditional remedy. This is the reason why there are manifold Bhutanese songs glorifying this wonderful flower. Advancing eco-tourism along with the aim of arising occasion for self-sufficiency of local communities by focusing on ecology, culture, food, and entertainment are the two expectations of the Rhododendron festival. Visitors, during the three days of the festival, can get into naturally traditional Boedra and Zhungdra songs which are performed by local dwellers or taking a sightseeing around manifold stalls giving a livelihood picture of local communities nearby who mainly depend on natural park resources. Some of the following programs such as cultural performance and educational program for environmental protection are performed by students from varied schools. Visitors can participate in walking distance in the botanical park to immerse manifold Rhododendron species and indulge themselves in the ecological fortune. The festival celebrates the rhododendron flower. The festival features the rhododendron garden walk and exhibition, local culture and cuisines, arts and crafts, traditional games, cultural program, guided walks and activities. The festival displays different species that are in full bloom in their natural habitat. 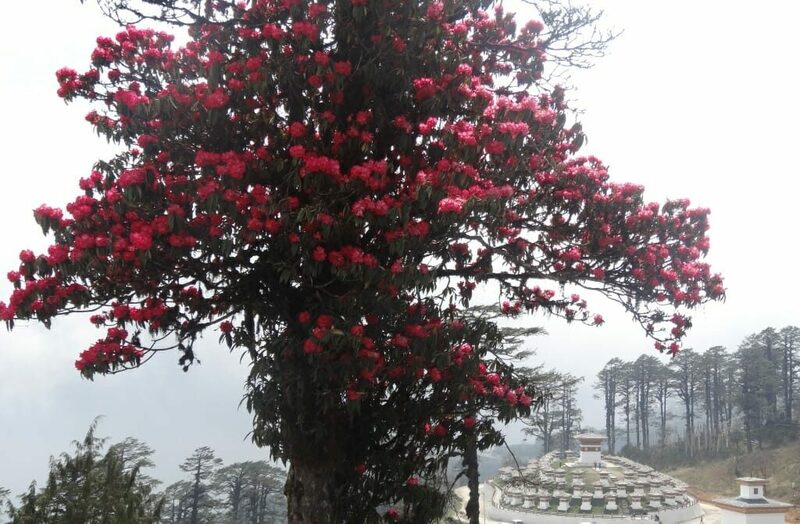 Of the 46 rhododendron species recorded in the country, 29 are found in Lamperi Botanical Park, 35km from Thimphu. Lamperi is at an altitude of about 2700 meters and was designated as a botanical garden several years back. In Lamperi you will be able to see different varieties of rhododendron and different species of plants. This is a nice place built for recreation and nature walking trails. 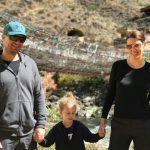 If you are lucky you will be able to see Khalij pheasant, Himalayan monal, deer, Himalayan black bear and at least 20 different species of birds. 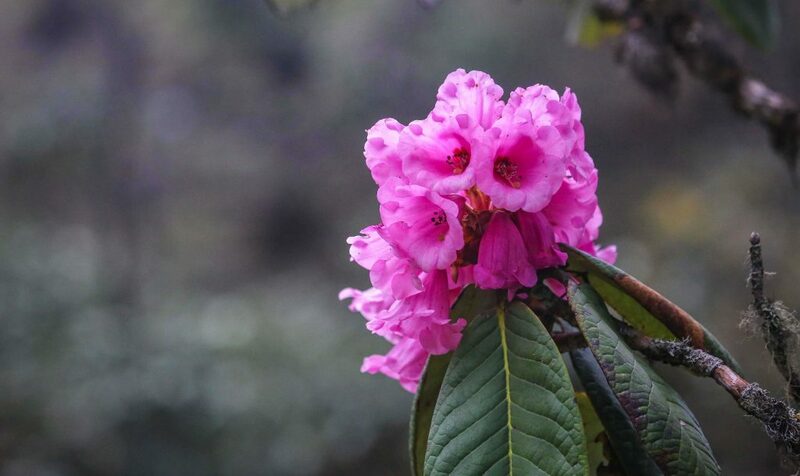 Showcasing different rhododendron species that are in full bloom by April, the three-day rhododendron festival celebrates the blossoms at the Lamperi botanical park. Initiated in 2013, the rhododendron festival is an annual event. Recognising the significance of such festivals as a strong tool to promote potential areas for ecotourism and income opportunity for local communities, similar park festivals was initiated in parks across the country since 2009.